Journey to the Destination: Key Considerations for Effective Digital Signage Wayfinding. It’s hard to remember a time when driving involved the routine use of printed maps and the occasional stop at the nearest gas station to ask for directions. These days, even if your vehicle isn’t equipped with a built-in GPS, you probably have at least one favorite smartphone app that can take you where you’re headed, as well as point out interesting landmarks or inconvenient obstacles along the way. 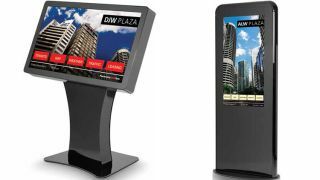 Developers of digital signage technology have thought a lot about this, and many of the wayfinding solutions out there apply how we’ve been conditioned to use GPS on the road to moving us through corporate and educational campuses, retail and convention centers, and healthcare facilities. The recurring theme? Wayfinding design take into account who its users will be and make their navigation experience as thought-free as possible. For Jeff Hastings, CEO at BrightSign LLC, a digital signage player developer in Los Gatos, Calif., touch “is a key development in wayfinding, and support of HTML5 is essential to this functionality, as it enables the viewer to dig many layers deep to find the content they’re seeking,” he noted. He explains that BrightSign’s players are “driven by a hardware-accelerated HTML5 rendering engine that’s on par with very high-end PCs,” which is what’s needed for interactivity. He says that his company is also seeing more demand for wayfinding systems that incorporate live content from the web—such as social media feeds, flight tracking information, and weather reports—which is also made possible with HTML5. Beacon/BTLE technology, which senses when someone walks by a display with the goal of engaging them via their mobile device, also figures into BrightSign’s offerings. ViewSonic Corp., a display solutions manufacturer based in Brea, Calif., notes the combination of its SW-014 Video Wall Deployment Solution, the SW-015 Artistic Video Wall Deployment Solution (both powered by Userful software), as well as the company’s commercial displays, results in the ability to deploy up to 40 4K displays with the use of one high-end PC. The manufacturer says that these solutions are not only suited for marketing and advertising, but also for interactive use in command and control facilities as well as for wayfinding. Color coding is another effective method of facilitating the user’s experience; assigning similar departments—or, in retail centers, store—the same color draws their eye to their area of interest. Assigning off-limits sections of the facility darker colors, like gray or even black, also helps to keep them out of the “backstage” areas of your organization. While highlighting a building’s major landmarks, such as statues or fountains, is helpful, Stenbakken cautions against too much detail: “If it’s a major landmark, we always try to include those on maps, but we really try to limit it to what is absolutely essential,” he said.